“The P1 Team walked the property in a discovery phase and found the piping was compromised and failing due to material type, installation methods, and the fact the piping system was full of solids/sludge,” Rusty Roderick, Vice President, explained. Variable Frequency Drives (VFDs) These have already been installed to reduce the flow going through the pipe so the leaks wouldn’t be compounded. This also bought time until the rest of the work can be completed. Sidestream Centrifugal Separator Filtration System This has also already been installed to remove existing sludge and sediment in the system, prevent future build-up, and minimize the risk of contaminating the new boiler plant and piping. Boiler Plant Replacement P1 Group also found the school was using electric boilers, which not only had sludge and performance issues, but also cost approximately four to five times more than natural gas. P1 Group’s energy conservation solution is to replace these with a new hybrid high-efficiency natural gas boiler plant. The replacement of the boiler plant alone will save the district approximately $70K annually, which will help fund the overall project. While the VFDs and filtration system have already been installed to minimize continuing damage for the time being, the bulk of the work won’t take place until school is out this summer. Once school is out, P1 Group will have just nine weeks to complete all the work before school starts again. “P1 Group is using a design-build approach on this project, allowing us to compress the timeline to meet the tight summer turnaround,” Rusty said. Rusty also notes how critical manpower numbers are for compressed schedules. “You have to have the manpower as well to get a project of this magnitude done in nine weeks. We may have 12-15 pipefitters and four electricians on site to make this happen,” he said. 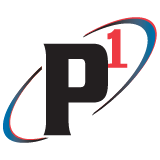 Through relationships, a reputation that precedes us, and the agility to assess and implement complex performance solutions quickly, P1 Group is on its way to making another facility efficient and comfortable for the people that use it every day.